Watch: Fossil | Bracelets: Forever 21 | Nails: Orly "Pink Waterfall"
Black and hot pink/coral has always been a fun, favorite pairing of mine. I never hesitate to add more black to my wardrobe because it's flattering and oh-so-versatile, plus it makes it easy to style pops of color. I love this as a spring outfit because it doesn't venture all the way into sundress territory, but is still a springy step up from sweaters and jeans. 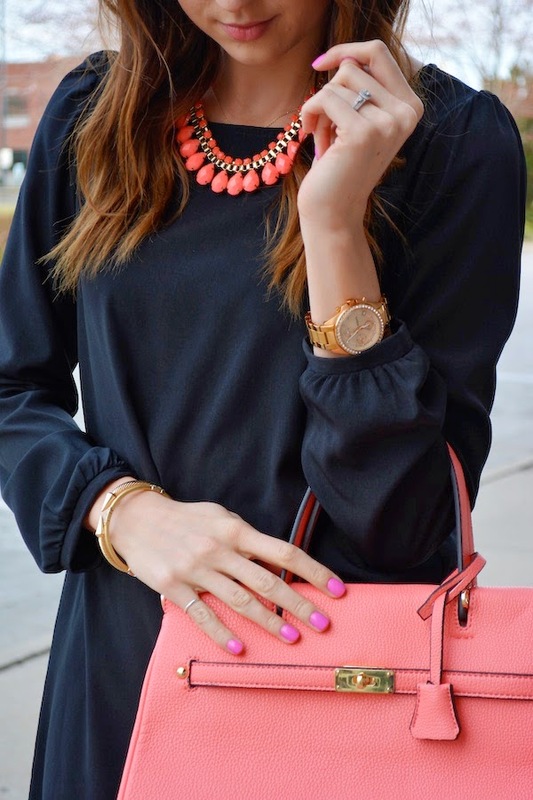 I love this classic look - that pink necklace and bag make such a great statement! 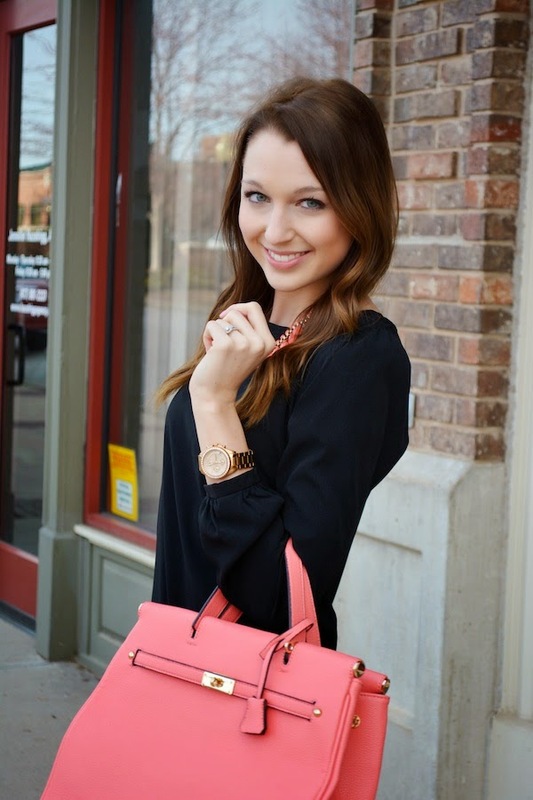 Loving the pops of coral Jacy! Such a fresh look. 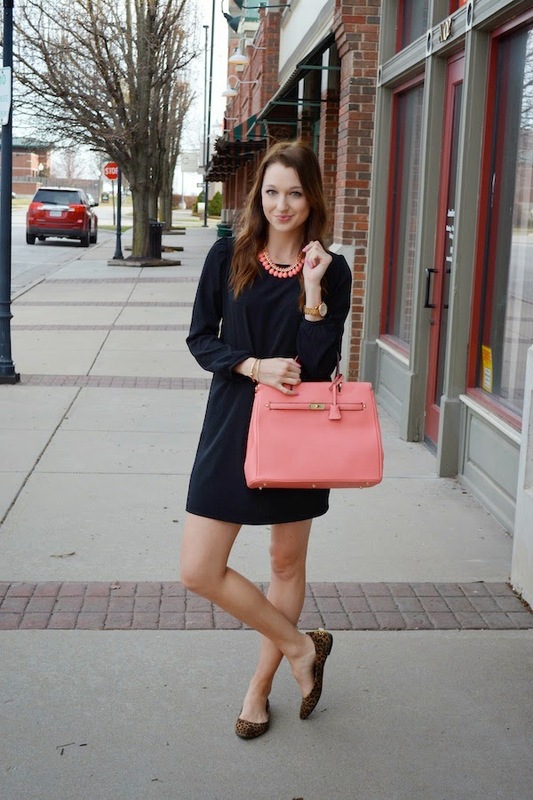 The dress is so flattering on you and the bright coral is a great accent to the black. Beautiful girl! I need more dresses like this one, you look so cute. Love these dresses on you!! I seriously need to get myself one and I love that bag!! Such a cute look! Coral is just so pretty. That dress looks like a great staple all year long! Shift dresses are a must! Love this look! Coral looks amazing on you. I love shift dresses, I need to pick up some more!